for some reason i've been dying to wear yellow for like a week now and this is the third time i've seen this shade - it's SUCH a pretty yellow, i want it. i love the color combo and the flowers are adorbs! full nail print ftw. 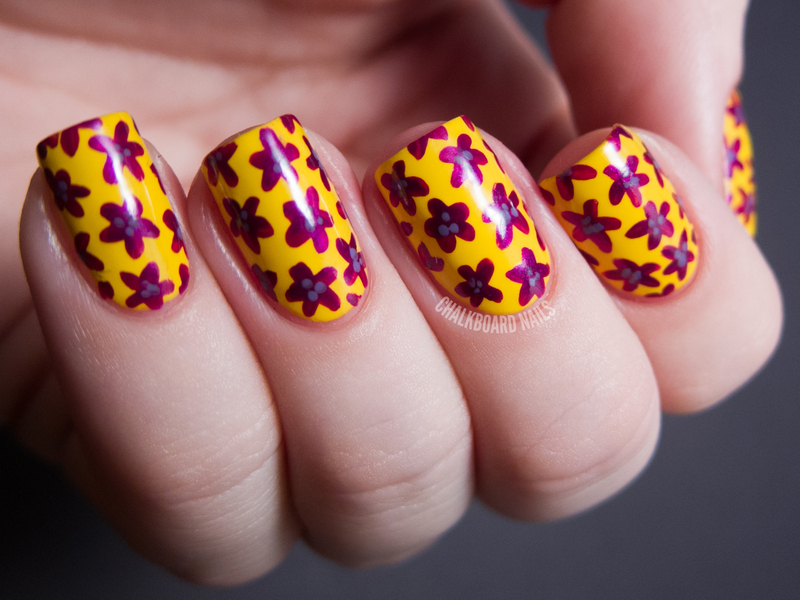 Oh my, the colors look amazing together, great manicure! i love full nail patterns! What a lovely colour combination! Such a adorable color combo! 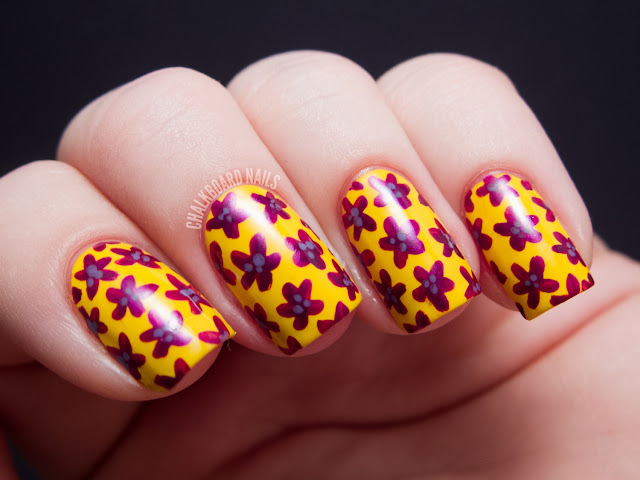 I LOVE flowers... and therefor I love this mani! This makes me long for Spring/Summer! Very summery manicure. Love it! I love yellow nail polish, I just have trouble finding ones that look good on me. Just lovely! I love purple and yellow together! wow! It looks so pretty! I love this bright and fun design and how well the colors go together! This is gorgeous! Love the colors together! These nails are just so cute :-)! Love them!